Guru Krupa Foundation, an organization whose focus is to support primary education has renewed its support and expanded support for new Ekal schools in Assam. Guru Krupa Foundation will provide support for a 100 schools this year. Guru Krupa believes strongly in the importance of primary education and hence Ekal's mission is something they are glad to support. Here is an interview with the founder of Guru Krupa Foundation, that was done in 2014 that describes why the foundation supports Ekal. “Our villages are very remote. No one ever comes here and offers a hand of love and friendship. When Ekal visited my village and offered love and education I was so moved. I decided to join the movement” says Karan Gourd, a senior Karyakarta in Assam who has been working in the Ekal movement for many years. The area of Assam in Tejpur anchal is very beautiful. The costumes worn by the villagers are so beautiful. They have looms at home and often buy cotton, die it and weave it to make their dress. Music and dance is central to their way of live. While there is such beauty the remoteness of the area causes problems. Lack of education and access to the rest of the world often make it a place that attract negative forces thus many areas of Assam were plagued by terrorism. Ekal’s outreach into this areas has helped bring positive energy and empower the villagers to be united and bring the change they want to see in their community. 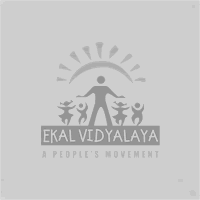 Ekal brings education to the young children in the village. “I love coming to school” says Kanaklata, a little 6 year old. “I love the singing, dancing and the math” I learn at the school. The “learning through play” method that has been pioneered at Ekal makes learning fun for the children. Ekal hires local people with at least a 10th grade education and trains them extensively to become teachers. Most of the teachers are women. The training they received from Ekal not only allows them to become good teachers but also gives them professional skills. 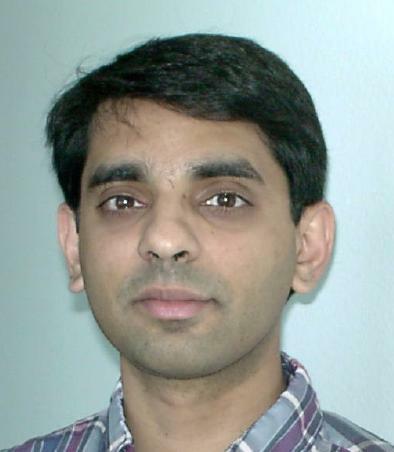 “Before I joined Ekal I used to be nervous to talk to people. I had no self-confidence. Once I became a Ekal worker I now have no hesitation talking to people. Also when you are a Ekal worker, the community looks upto you since you serve the community. Working at Ekal gave me respect and love from the village” says Poronita Borah. “I am very committed to success of the students since they are from own village. If there is a problem I immediately reach out and make sure they get help” says Kalpana Kormi, a teacher in the Tejpur Anchal. The Guru Krupa Foundation(GKF) gave Ekal a grant to support nearly 55 schools in this area. Mukund Padmanabhan, the philanthropist who created the foundation shared his views on why he decided to support Ekal. Why did you start GKF ? GKF was started to support social, educational and cultural programs in the US and in India. There is no shortage of disadvantaged and unfortunate people in the world, especially in undeveloped and developing countries, and GKF was simply an attempt to provide, in an organized way, help for those who most needed it. Our social programs address education at the lower rungs of the economic ladder, and respond to an immediate and pressing need. However, the acquisition and preservation of knowledge with much longer time horizons is also important. Hence our educational programs address the other end of the education spectrum by providing support for higher education at top research institutes and our cultural programs address the preservation and nurturing of spiritual knowledge that has been handed down to us from ancient times. Why do you think it is important to support primary education ? In developed/developing countries, poverty is rampant. One of its most undesirable side-effects is that parents cannot afford to send their children to school. Uneducated children then grow up to be impoverished adults hence establishing a self-sustaining vicious cycle. Providing children with quality education is the best way to help them break out of this cycle of poverty. This is especially true for younger children as primary education provides the basic foundation on which later successes can be built - hence the return on an investment made in primary education is likely to last for a lifetime. This is the main reason why many GKF projects focus on primary education. What motivated GKF to support Ekal ? GKF is a non-operating foundation, and we don't run the programs ourselves but rather partner with other organizations that have activities in the field. We work with our partners to identify areas of mutual interest and then provide grant funding for those projects which are then carried out by the partner organization. The Ekal school programs that bring education to children in remote tribal villages seemed like an excellent match for our goals and objectives - hence our partnership with Ekal. How do you envision GKF impacting the world ? GKF is only one of many thousands of philanthropic organizations that serve as an instrument for their members to indulge their desire to give back something to society. We are not under any pretensions that we are any more than a drop in the ocean - however, by partnering with other organizations and providing funds where they are needed the most, we do hope to make a positive impact on at least a few people's lives.